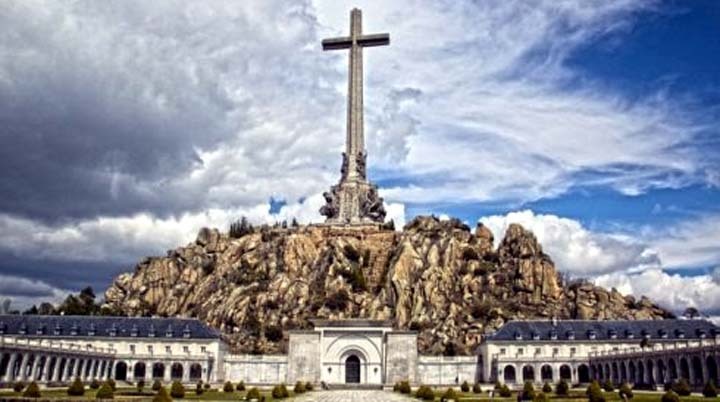 24JUN18 – MADRID.- PEDRO Sanchez has vowed to move the remains of dictator Franco from the Valley of the Fallen and turn the site into a monument of reconciliation. Spain’s new prime minister revealed plans during his first TV interview to turn the vast mausoleum into a ‘memorial about the fight against fascism’, adding that the country ‘cannot allow symbols that divide Spaniards’. The controversial site has faced huge criticism for being the only remaining monument dedicated to a fascist leader in Europe, where General Francisco Franco’s body was buried some 40 years ago. “We don’t have a date yet, but the government will do it,” said the Socialist leader. Largely built by Republican political prisoners under Franco’s regime between 1940 to 1958, the Valley of the Fallen (Valle de los Caidos) holds the remains of over 33,000 people from both sides of the civil war. It comes after Rajoy’s government had blocked prior attempts to exhume Franco’s remains, stating that digging up mass graves of lost loved ones will reopen a painful part of Spain’s history.